Be a super hero! Organ donation saves lives and so can you. 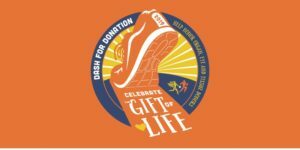 Please join us for the 23rd annual Dash for Donation. Register as part of a team and get a discount on registration. Races starts at 9:30 AM.